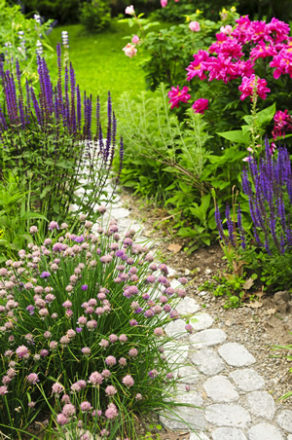 Landscape Design Services - Spring Valley Nurseries, Doylestown, PA.
Spring Valley Nurseries is a full service landscaping company, specializing in renovation and new home landscapes. Along with offering a full range of landscape-related services we provide our clients with the highest quality landscape design, construction and maintenance services to ensure complete customer satisfaction. Maintenance: Yearly plant and bed maintenance is recommended to keep plants healthy and performing at their best. This will also help increase your pleasure and property value. Spring Valley Nurseries provides maintenance services including pruning, weeding, fertilizing, mulching and seasonal flower installation at an hourly rate or estimated price. If you wish to do your own we can provide you with expert advice customized to your needs. Renovation: If your plants are overgrowing your house or property or you would like a fresh new look to an old landscape, Spring Valley Nurseries will transplant or remove existing material and replant with new. Hardscapes: Spring Valley Nurseries will enhance your outdoor living with a new paver, brick or bluestone Patio. Make the entrance to your house more accessible with a wider or more decorative walk. Having trouble with the slope of the land, think about a retaining or boulder wall. Want to highlight an area or define a bed, there is always decorative walls made from your choice of material. Whether your home is newly constructed, remodeled or an existing property that needs to be refurbished, we have the knowledge and resources to suit your needs. Please complete our Landscape Consultation Form to start the process.